Collagen is an important supplement to keep us aged gracefully and keeps youthful. As a beauty junkie, I’ve been consuming collagen for years. I have tried a few brands, made locally or imported and today I wanna share a fairly new brand - Oshan Infinite Collagen. 1) Protect – DECORUS 5 COMPLES™ that contains Oligomeric Proanthocyanidins (OPC), Olive fruits extract and astaxanthin provide a strong shield for the skin from free radicals, harmful ultraviolet light, sunlight, inflammation and toxin. 2) Retain – Hydrolized collagen & Hyaluronic acid retains the moisture content and the texture of the skin payers. 3) Regenerate – Rose placenta, apple and grape stem cell regenerates the skin cell as well as other part of our body for its natural healing property. Oshan Infinite Collagen is Made from 100% natural ingredients. 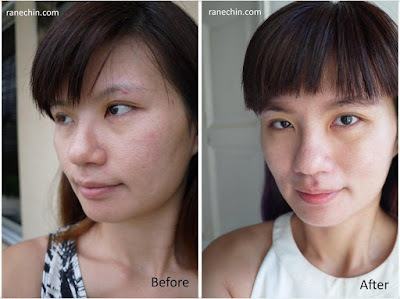 Like most of the other collagen supplements, Oshan Infinite Collagen comes in powder form. 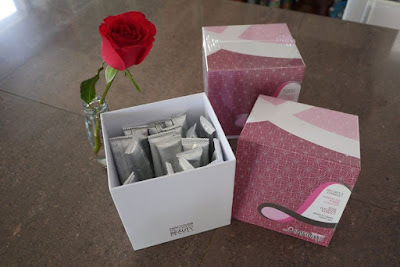 It is recommended to take 1 sachet a day during the first week and 1 sachet in 2 days afterwards. Best to be consumed at night before bedtime or in the morning before breakfast for full absorption of the nutrients. 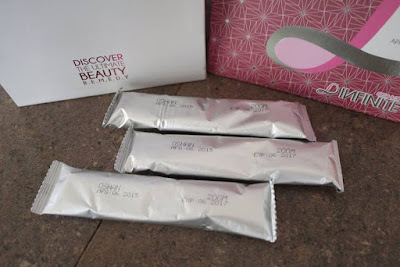 What I like about Oshan Infinite Collagen is the sachet is easy to tear open, and the powder is easy to dissolve in water after a few swirling around. 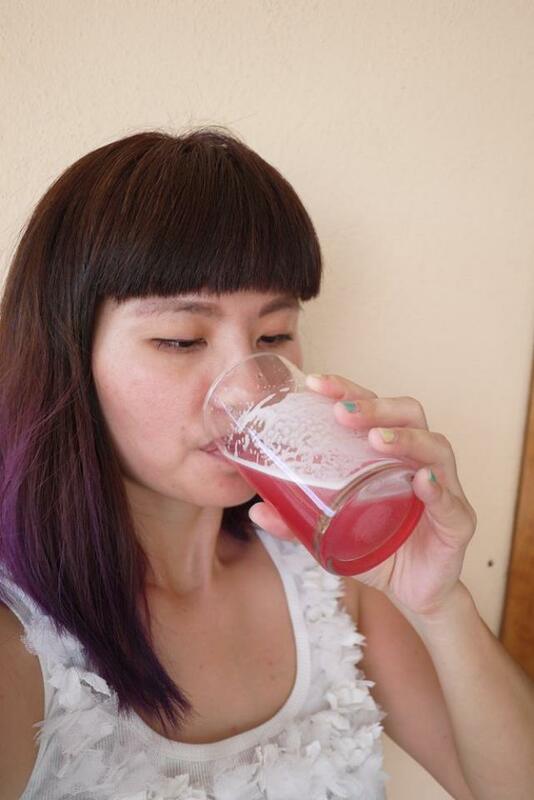 It tastes great just like a fresh rose juice to me. Indeed it is by far one of the tastiest collagen I’ve tried. Guess it’s time to wave goodbye to that fishy collagen yeah. 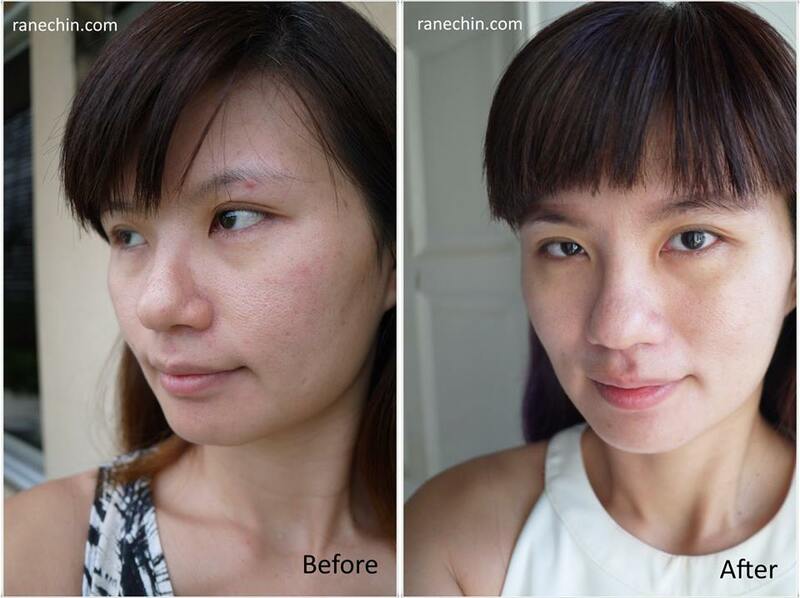 After continuous daily intake of a box of Oshan Infinite Collagen, I notice my skin is smoother and fairer. Not only on the face but the effect is on whole body indeed. Well done to the unique formulation that works. 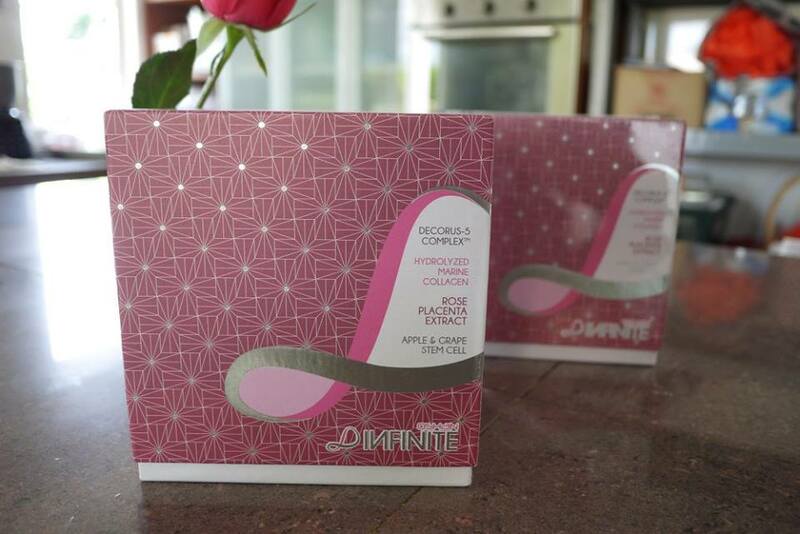 Oshan Infinite Collagen is pack in a sturdy pink and white box. I keep the boxes to store my girls’ hair accessories and my lipstick haha. 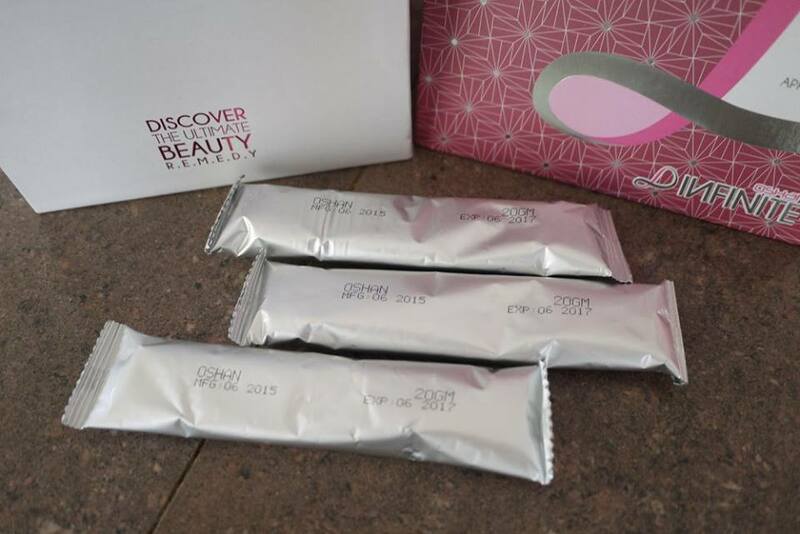 One box of Oshan Infinite Collagen contains 20 sachets of 20 grams each. You could get it from Alpro pharmacy and Lazada at RM 243.80 for a box.